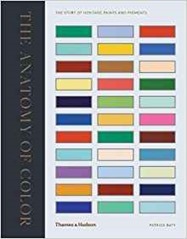 The Anatomy of Colour by Patrick Baty is a history of painting as decoration for houses and buildings stretching back 350 years or so. The Painter’s Company dates all the way back to 1283, and the practice of decorative house painting back into antiquity. There is direct evidence for this preserved in Pompeii. As I recall I’ve been following Patrick on social media for quite some time, in part because what he does relates to my former professional interests. Anatomy picks up on work I used to do in colour measurement. 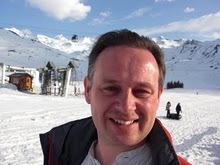 I did it in a different context – for a “fast moving consumer goods” company making washing liquid, shampoo and the like. It also has some relevance to work I do now on dating buildings. At the beginning of the book the materials used to generate colours and paints are discussed. Typically these are minerals or plant materials, synthetic colourants only started to become available in the 19th century. Lead carbonate (white lead) was long used as the basis for many oil paints (of all colours), despite it’s known toxicity. It was replaced by zinc oxide in the later 19th century and now titanium dioxide is used. Confusingly from the early period “pink” used to mean a yellowish colour derived from plant material. Also mentioned are the linseed oil that formed the carrier for most paints well into the 20th century. Following this introduction a number of broad themes are discussed in successive periods so for example in each period we learn about the favoured colours and colour schemes, colour theories and systems, and the key books relating to decorating and colour. Technology is a slowly changing background to this. In the beginning painters bought the pigments and oils and made their own paint, possible making pigments from raw materials. Pigment pastes in metal tubes came into use in the 19th century with tinned paints a 20th century innovation, as far as I can tell. I’ve always had a problem with distemper, a suspension of chalk in a glue base which can be washed off and reapplied, mainly because I learnt about distemper, the disease of dogs first! Distemper was used as a disposable wall covering until the late 19th century when it started to be replaced by other commercial formulations until they were in turn replaced with emulsion paints sometime after the Second World War. Something I hadn’t considered before was the importance of colour in horticulture and zoology. Darwin took a book on colour on his trip around the world. He needed it to describe the colours of animals and plants as they were collected since there was no photography and specimen preservation techniques would not necessarily preserve colour. More recently colour systems have been developed around the needs of horticultural. The red of a robins breast is probably as good a reference to a colour as could be obtained artificially until into the 20th century. Similar the yellow of a daffodil. The colour systems discussed are a little different from those I used in scientific colour measurement, the closest approach is the Munsell “hue, saturation, value” system. In general the systems presented here are focused around defining words to describe colours to aid communication and specification, and establishing harmonious colour combinations. My work was more involved in measuring colour in a machine to see the effect of different washing liquid formulations, or similar. In the 20th century Britain saw standardisation of colours with recommendations for the painting of commercial and public buildings. The post-war rise in DIY is well-known but housepainting was seen as something a gentleman might undertake even in the 18th and 19th century. Early on in the book Baty shows some paint cross-sections which are discussed very briefly. I must admit I find this forensic side very interesting and I was a bit disappointed that there was not more of this – I can see how it doesn’t fit with the main audience for the book. I found the chapter / section numbering a bit confusing, there are two levels in the hierarchy and both use Roman numerals! The book is beautifully illustrated with colour reproductions of many of the different colour systems used over the years, as well as photographs of interiors following the styles discussed. For practioners in the investigation (and recreation) of decorative schemes I can see this book being absolutely essentially, and as a more casual reader I enjoyed it too.